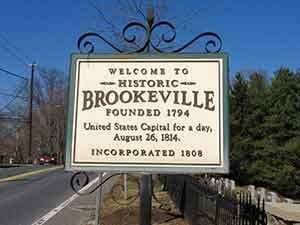 Comfort Home Care provides in-home care services to residents of Brookeville, MD. Our Certified Nursing Assistants (CNA) and Geriatric Nursing Assistants (GNA) enables individuals to access the Activities of Daily Living (ADLs) support they may require in order to live a safe and comfortable life. Professional assistance with our experienced aides allows our clients to maintain a life in the familiar setting of their choice, which could be a private residence, a hospital, or an assisted living facility. Comfort Home Care’s service to families in Brookeville, MD also supports their caregiving efforts by assuming any of their typical caregiving responsibilities so they can have the time to focus on life’s other personal obligations. If for any reason an individual is unable to safely perform a particular activity of daily living, in-home care services can be very useful for receiving the help one needs to remain as self-sufficient as they are able to be. Each individual who uses in-home care services is going to need a different level of support from one another. One may only need infrequent assistance with a single ADLs, while another individual could require 24/7 professional care services for a period of time. Our aides are very adept at helping clients with all of their nutrition needs. They can prepare each meal for the day, and assist with feeding when necessary. Our aides also understand how keeping a clean and orderly kitchen is important too. Certain physical and cognitive challenges prevent some individuals from self-bathing and maintaining their own personal hygiene. Our experienced aides can assist clients with their bathing and hygiene needs, including oral and skin care. Our aides are often requested to help our clients with getting dressed in the morning and undressed and ready for bed in the evening. They can take care of the laundry and then organize clothing and accessories. Many of our clients request that our aides help manage the cleaning, cutting, and shaving of hair, among other aspects of general grooming. Our aides are well trained to help individuals with mobility in and around the house, including performing some light stretching exercises that can help individuals go for short walks. Our wonderful CNAs and GNAs have years of experience with helping individuals gain access to the bathroom. They can also handle the emptying of catheter drainage bags as well as the changing of adult diapers. Comfort Home Care’s in-home care services exist to reliably provide the comprehensive support clients require to safely function as self-sufficiently as possible even though they may have physical or cognitive challenges. The experienced CNAs and GNAs on our staff are trained to ensure any client is able to effectively accomplish Activities of Daily Living that contribute to a high quality of life. Full or part-time caregiving for a loved one can be a worrisome effort because there are so many aspects of care to consider. Comfort Home Care’s dependable in-home services are capable of relieving much of the stressors and anxieties often associated with extensive caregiving responsibilities. Our cheerful aides work to simplify the management of any aspect of care so our clients and families attain the confidence and peace of mind that our services hope to always deliver. Since 1999 Comfort Home Care has been pairing residents of Brookeville, MD with genuine and qualified Certified Nursing Assistants and Certified Geriatric Assistants. Comfort Home Care is licensed in Maryland by the Department of Health and Mental Hygiene as a Residential Service Agency. Every member of the Comfort Home Care staff intimately knows the importance of the professional care support we provide to families and individuals which allows clients to live as self-sufficiently as able in the safety and comfort of a familiar setting. For the first step in the evaluation process, Comfort Home Care’s Company Representative, Director of Care, and Director of Nursing will visit your location along with one of our Registered Nurses. They will make assessments based on the client’s personal goals and particular care requirements. The Registered Nurse (RN) will diligently work to develop the most appropriate care plan for the client’s unique situation that satisfies the whole range of care needs. Next, we are ready to select the ideal CNAs and GNAs for our client’s circumstances. We carefully place the client with the experienced caregiver who will work to develop a special therapeutic relationship to better ensure the happiness and comfortability of those we serve. Request a Free In-Home Care Evaluation Today! If you would like more information on the comprehensive in-home care services Comfort Home Care provides in Brookeville, MD, please send us a message online or give us a call for any questions you may have or to schedule a complimentary care evaluation. A Care Manager is on duty and ready be called 24/7 so our clients can always receive the in-home support they need.